Michelle Obama has given some advice to Meghan Markle on dealing with the pressures of stardom in a newly released interview. 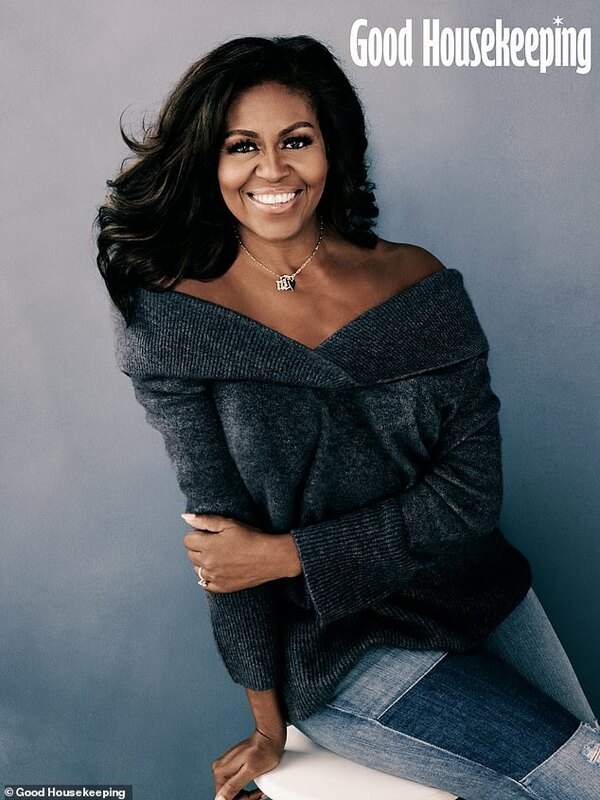 The former First Lady chats to Good Housekeeping about her new wildly popular memoir ‘Becoming’ and has some guidance to offer the Duchess of Sussex. The 54-year-old said: ‘So my biggest pieces of advice would be to take some time and don’t be in a hurry to do anything. ‘I spent the first few months in the White House mainly worrying about my daughters, making sure they were off to a good start at school and making new friends before I launched into any more ambitious work. Mrs Obama also talks about the increased amount of sleep she is able to get now she doesn’t have the hectic schedule of a First Lady. She added: ‘Thankfully I get more (and more regular) sleep these days. ‘Then on top of the demands of our schedules, I’d usually need to wake up long before Barack to get my hair and make-up done and get dressed for a public event. ‘I laugh a lot about how easy it was for Barack to choose his wardrobe – ‘Tie or no tie? What do you think honey should I roll up my sleeves? The new memoir which was released on November 13 has already sold more than 1.4 million copies worldwide and has received a number of positive reviews. 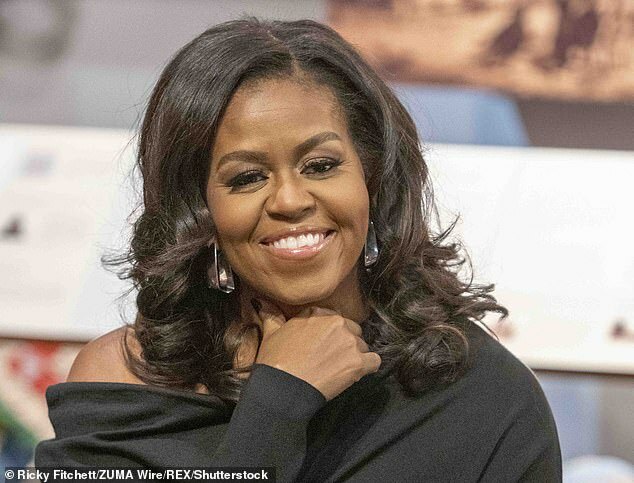 Both Michelle, and husband Barack Obama have been working on memoirs, with with former US President’s expected in 2019. 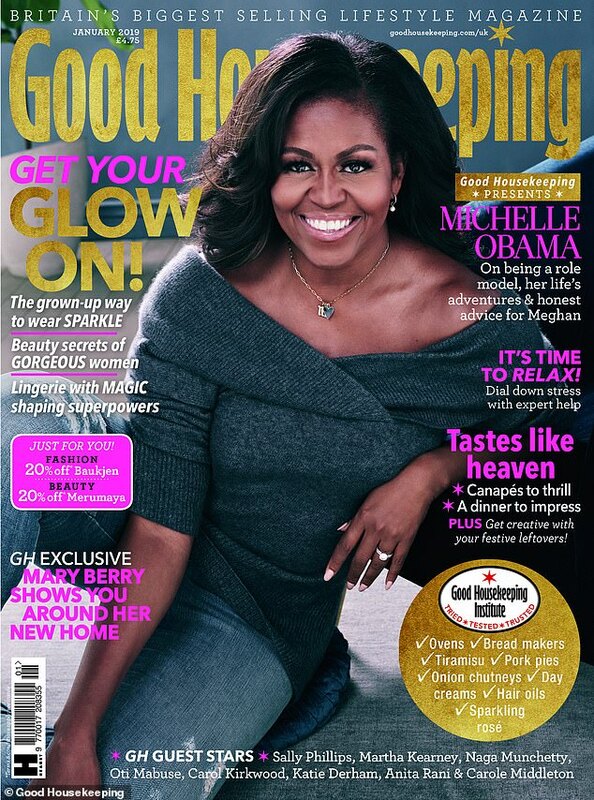 In the interview with Good Housekeeping Mrs Obama also touches upon the topic of women in society today. She said: ‘In many ways, things are harder for young women today. ‘But what’s inspiring to me is that so many of the young women I’ve met are triumphing in incredible ways. ‘Unlike my generation, they’re not as held back by the societal belief that girls and boys can’t do the same thing. ‘They’re charging forwards in sports and maths and science and technology. She added: ‘ “To be honest, I really don’t do a lot of looking back or pining for what used to be, which is something that is true for every phase of my life, not just my time in the White House. ‘I promise I’m not trying to dodge your question – it’s just not the way I’m built! I recognise that I’m incredibly blessed to live the kind of life I live today and mainly, I’m grateful that my daughters, my husband and I all came out of those eight years in one piece. The full interview appears in the January issue of Good Housekeeping, on sale December 3.